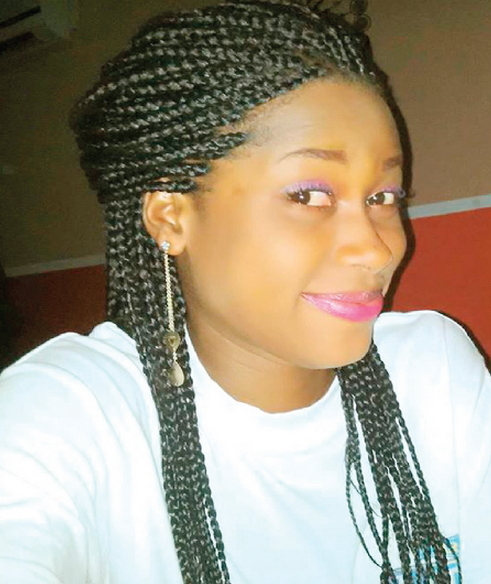 Miss Ngozi Ogbolu, a 20-year-old student of the Nigerian Institute Journalism (NIJ) has revealed her encounter with some ‘holy fraudsters’ who almost hood winked her into withdrawing all the money in her account and that of her mother’s. Ogbolu said that she encountered the fraudsters on September 6, 2015, at Church Bus Stop, Agidingbi. One of them, an old man, introduced himself as a pastor. Determined to make sure the lady empties her mother’s account, the ‘pastor’ and his partners in crime, cast a spell on her and made her to chew and swallow a paper He told her intimate things about herself. His supposed power and knowledge, stunned her. Realising he had gotten Ogbolu’s attention, the pastor said that the lady needed prayers because something bad was about to happen to her family. This was even as he urged her to withdraw all the money in her account and that of her mother for serious prayers. Recalling the event like it was yesterday, Ogbolu said she was returning from Liberation Hall Ministries, situated at Amara Olu Street, where she worships, when she ran into the fraudsters. Ogbolu said: “I was returning from church and decided to use the Automated Teller Machine (ATM). I withdrew N10,000. I was coming out from the bank when I noticed a Toyota Corolla car. The car parked in front of me. I saw two men; a young driver and an elderly man that looked about 60-year-old. The old man asked if I could direct him to Metropolitan Hospital. He said that he was going there for evangelism. I told him I didn’t know the place. A young man was about to walk pass us, when the old man asked him the same question. “The young man said he knew the place. He acted like he was a stranger. I never knew they were working together. I was about to walk away when the old man suddenly called my name; ‘Ngozi Ogbolu.’ He mentioned my home town. I became curious. I wondered how he knew my name, state and village. He said something bad was about to happen in my family. He said that I should buy biscuits for children when I get home. He told me that he needed to pray for me first. According to him, the Almighty God instructed him to pray for me.” Ogbolu further explained that as the old man, was speaking to her, the young man interjected repeatedly, saying the pastor’s knowledge and power were awesome. The lady said that it was while the old man was speaking to her, that she momentarily lost her senses. She said: “It was from that point that I didn’t know what I was doing. I was lost!” She was ordered to enter the Toyota Corolla car and like a lamb being led to the slaughter slab, she obeyed. She recounted that she entered the car without knowing why. The old man, his driver and the supposed passer-bye took Ogbolu to the Victorious Army Church, located along ACME Road. The old man said he wanted to carry out prayers for Ogbolu in the church. He later changed his mind, saying that there was no parking space inside the church. “He asked me to bring out a plain sheet of paper, which I did. He tore it into two and asked me to chew one part and gave the young man, the other half to chew. I don’t know if the guy chewed his half, but I chewed and swallowed mine,” said Ogbolu. She continued her narration: “He told me I had N10,000 in my bag and that I also had my ATM card. He further said that I had my mother’s ATM card with me. He said that my mother’s account had a lot of money. I simply nodded. He said my aunt was having a very serious issue with someone. I nodded. He said I should withdraw all the money in my account and that of mother’s that he wanted to pray on it. He said that after the prayers, I’ll return the money to the bank on Monday which was the following day, I nodded.” The driver drove out of the church and headed towards Mowe- Ibafo, Ogun State. They diverted to another route. And struggling with a force that was weighing her down, which she couldn’t understand, Ogbolu managed to stutter, “I thought you said you were going to Mowe, but this is not the way to Mowe. I told him that I could only make withdrawals from the First Bank branch were I opened my account.” The old man smiled and instructed the driver to reverse the car. They headed back to ACME Road. When they got to ACME Road, the driver parked close to the bank. The old man ordered Ogbolu not to tell anyone what had transpired between her and them within three days or she would die. She further recollected: “He asked me to open my right palm. He placed his hand on mine and said, ‘go and come back in peace.’ I picked my handbag and stepped out of the car. Immediately I stepped out from the car, I started shaking. I wasn’t myself ! The only thing on my mind was to quickly withdraw the money and return to them. One of the security guards at my place of work, close to the bank asked if I was alright. He gave me a seat to sit. I was still shaking. I started shouting that I wasn’t alright! As I was narrating the story, I was getting better. Hope the miscreant will be apprehended soon. Ngozi, It will impress me to keep in touch with you 08183171901. Thanks! The Lord God was with u Ngozi and He will still be with u. To correction so that u wount a victim anymore.